Output volumes from manufacturers have waned despite a strong showing in the previous month, according to the latest CBI Industrial Trends Survey. The survey of 409 firms found growth in manufacturing output slowing down in the three months to September, but remained above the long-term average. Export order books also faded to their weakest in almost a year, but remained above the long run average. According to the survey, output volume expanded in 10 out of 17 sub-sectors, with growth driven largely by the mechanical engineering, food, drink & tobacco, plastic products, and metal products sectors. Manufacturers expect output growth to pick up over the next three months. Expectations for output price inflation remained above the long-run average, while stocks of finished goods remained adequate but below the long-run average. The CBI said that it expects UK manufacturers to continue benefitting from external demand and a lower sterling exchange rate, but overall economic growth is expected to remain subdued, reflecting weak household income growth and Brexit uncertainty impacting investment decisions. Commenting on the findings, Anna Leach, CBI head of economic intelligence, said: “While manufacturing order books remain strong and output is still growing, Brexit uncertainty continues to cloud the outlook. Heightened fears of a ‘no deal’ Brexit scenario have prompted some firms to move publicly from contingency planning to action. 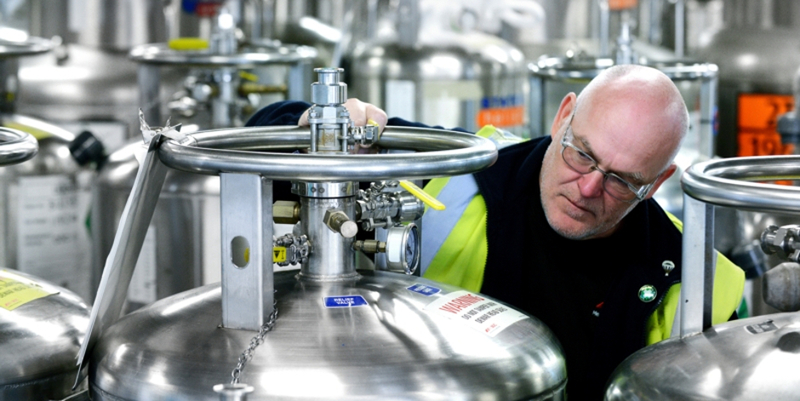 Tom Crotty, group director at INEOS and chair of the CBI Manufacturing Council, added: “Robust output volumes and order books are good news for British manufacturers, who have benefitted from a healthy global economy and lower sterling exchange rate. However, the continued uncertainty surrounding the final six months of Brexit negotiations presents a real risk to the continuation of this strong momentum. 16 per cent of firms said their present stocks of finished goods were more than adequate, whilst 13 per cent said they were less than adequate, giving a balance of +3 per cent, below the long-run average (+13 per cent).